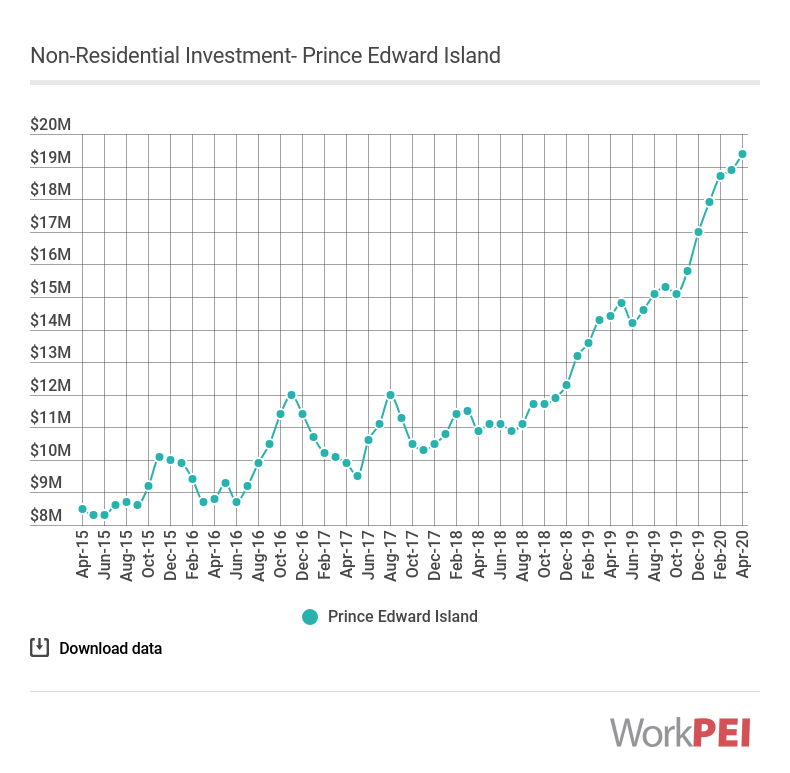 Non-residential investment decreased in Prince Edward Island from $36.9 million in the third quarter of 2017 to $33.3 million in the third quarter of 2018, a year-over-year decrease of 5.3%. 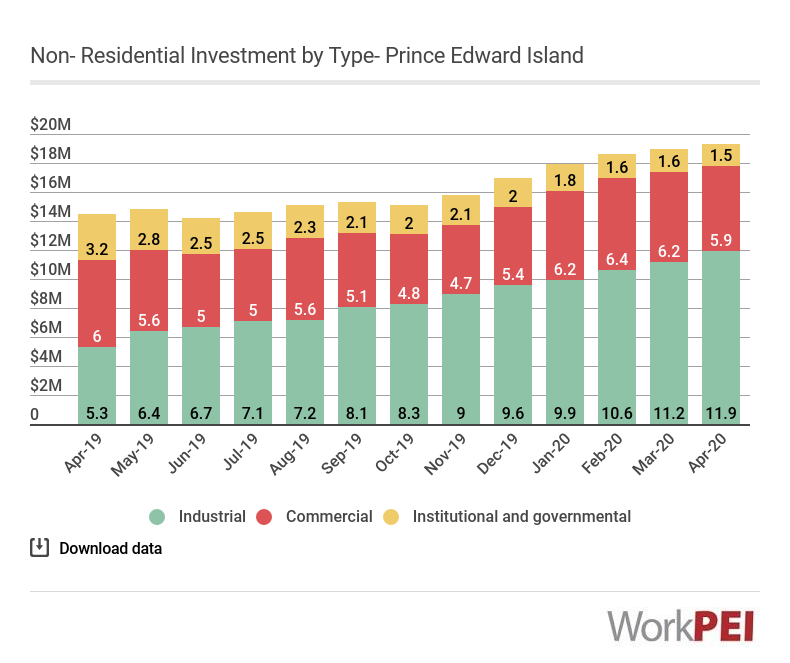 Canadian non-residential investment increased 5.6% over the same period. 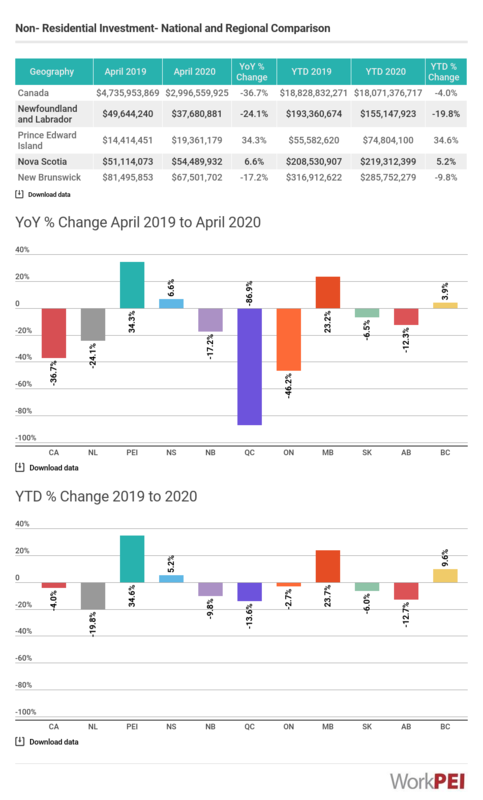 Adapted from Statistics Canada, Table 34-10-0011-01 ( Investment in non-residential building construction, by type of building). This does not constitute an endorsement by Statistics Canada of this product. Represents the spending value for enterprises and governments, for industrial, commercial and institutional buildings.